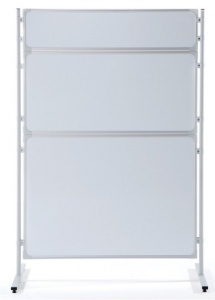 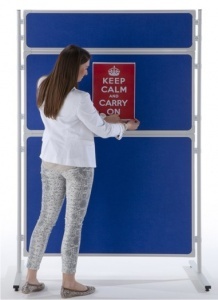 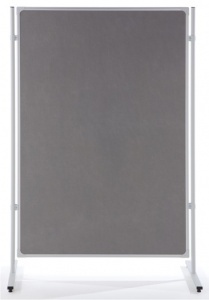 A lightweight yet heavy duty panel presentation and display system. 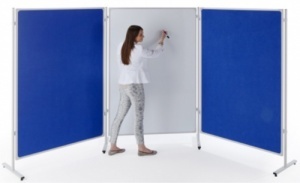 The system is incredibly versatile with a wide variety of uses and applications from mini exhibitions through to interactive brainstorming and presentation uses. 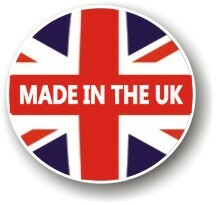 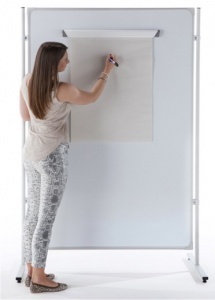 Available in 3 or single panel configurations you can choose between felt covered panels, magnetic drywipe whiteboard panels or a combination of both. 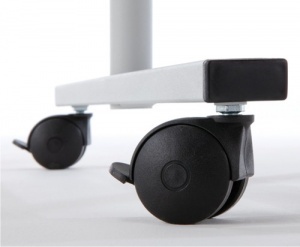 The unit comes with lockable castor wheels and is easy moved.